In the days before social media made it possible to be in constant contact with friends and family, I used to keep in touch with people the old school way … writing. A prolific letter writer since I was in single figures, when I would regularly correspond with my great, great aunt in Eastbourne, I was delighted when my penpal profile appeared in an issue of Smash Hits. I was 15 years old when my request for a penfriend was published in the magazine in April 1986. Within days I was inundated with replies, which resulted in me having penpals in France, Germany, Italy, Japan, Pakistan, Nigeria, Alaska and all over the UK, and school friends replying to some of the remaining hundreds of letters. I continued to write to a number of my Smash Hits buddies for several years, writing at least one letter every day, and some went on to become very good friends in reality, not just on paper. In fact, my son’s Scouse godfather is one of those friends I met because of this listing. Who would have thought it back then? Over thirty years of friendship due to a few lines in a magazine. Now, like many people, we use Facebook rather than letters to keep in touch across the miles and, although a nostalgic part of me misses the excitement of a letter dropping through the letterbox, I cannot deny the advantages of our online updates. Social Media has also been responsible for bringing some wonderful new friends into my life, and had it not been for a friend and fellow 80s fan I met via Twitter, I would not have the images included in this post. I can’t imagine how our communications will develop over the next three decades. I doubt very much that today’s teenagers will look back on Snapchat messages with the same fondness I feel when I look at the shoeboxes full of letters I have kept, and I am certain none of them will be sending rhymes like “Postman, postman don’t be slow. Be like Elvis, go man go!”, which I recently discovered on the envelope of one of those letters. Whatever the future holds, nothing will ever top my 80’s letter-writing days and the memories they made. Maybe I will even get around to publishing the letters one day. Last Saturday I was invited to join Modern Romance as they performed as the house band at BBC Radio Kent. We all had a fantastic time as the band played their hits from the Eighties as well as new material, such as ‘Seven Days’. My vlog on my YouTube channel shows a little of what went on that morning. Once the band had finished playing, I caught up with lead singer Andy Kyriacou for a chat about his Favourite Five 80s songs. Tune in to Radio Cabin tonight from 9pm to hear the interview we recorded, as well as some rather fabulous music from the decade. 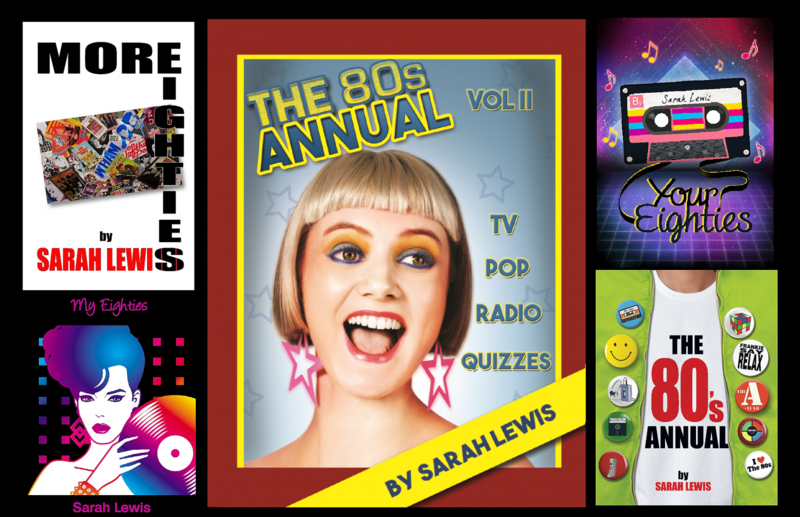 To make a request to be played during the show, which airs every Thursday 9-11pm, tweet me @MyEighties using #My80s, post on the show’s Facebook page @My80sRadioShow or send me an email: my80s@radiocabin.co.uk . I look forward to playing your songs! Well, that much anticipated day has finally arrived. I don’t mean that first-past-the post race which has had everyone at each other’s throats for the last couple of months. This is something that will bring people together in a swathe of fabulous music from a decade when we could have fervent political debates and still remain friends. Tonight at 9pm, My 80s Radio Show launches on Radio Cabin. Two hours of some of the best music from the Eighties plus a bit of waffling from yours truly. Listen online or on 94.6 FM if you are in the Herne Bay area. During the show, I will also be on social media so tweet me @MyEighties or the station @radiocabin with your comments and requests, using #My80s or post on the show’s Facebook page @My80sRadioShow. Speak to you later!